Hamburg, DE | April 4, 2017– Officially launched at Aircraft Interiors Expo in Hamburg on 4 April 2017, Zodiac Seats latest product Optima is expected to set a new standard in business class travel. Combining class leading passenger experience and improved cabin efficiency, through a unique cabin configuration that mixes in-line and angled seats, Optima can offer the uncompromised business class solution that the market was expecting. An elevated business class experience comes from direct aisle access for every passenger, large surface areas, extensive stowage options and configurable privacy. Thanks to its seating arrangement and electrically actuated privacy screens, Optima offers an exclusively private environment for travelers wanting to relax and unwind, or passenger interaction for those travelling together. With bed lengths up to 83.5” and the option for a centerline double bed, Optima creates a sleeping experience for travelers that would typically only be associated with First Class Travel. 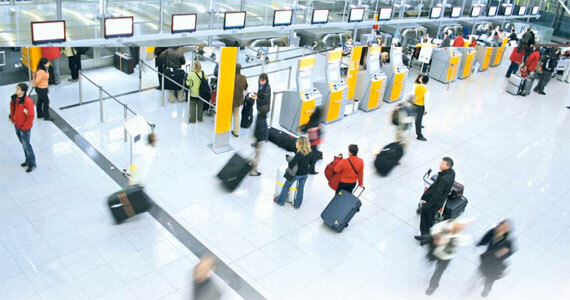 However, Optima’s unique quality is that while it pays close attention to the needs of its passenger, it never forgets the requirements of airlines; to increase their profitability through increased passenger count. The unique cabin layout, originally designed by Acumen, allows airlines to maximize their revenue potential, offering 15% more seats in the cabin compared to standard business class products. Optima can be tailored to the brand of any airline; thanks to its modular architecture. A variety of optional product features and customizable areas, allows each customer to embed their brand identity. This design ethos has been integrated into the product from its origination, building upon Zodiac Aerospace’s heritage and experience in manufacturing bespoke premium aircraft cabin solutions. Research and Markets has announced the addition of the “Global Galley Equipment Market 2017-2021” report to their offering. The global galley equipment market to grow at a CAGR of 4.20% during the period 2017-2021. Global Galley Equipment Market 2017-2021, has been prepared based on an in-depth market analysis with inputs from industry experts. The report covers the market landscape and its growth prospects over the coming years. The report also includes a discussion of the key vendors operating in this market. One trend in the market is rising demand for customized galley systems. The global galley market has experienced significant growth over the years mainly due to the consistent vendor focus on providing customized services to the commercial aviation and marine segments. Most clients of the galley system vendors have specific requirements as they operate differently and there are no standard designs for galley systems. The customization is mostly based on different parameters, which include compactness design and light weight to reduce the overall load on aircraft and ships. For instance, airlines that provide five-course meals or offer self-service of beverages and snacks need extra space on the counter. Plaisir, France | August 11, 2016– Zodiac Aerospace is honored to announce that its Lifestyle cabin concept has won the prestigious Reddot Award in the category “Design concept”. The Lifestyle concept recently also won a Crystal Cabin Award in the ‘’Visionary Concept’ category, during Aircraft Interiors Expo in April, 2016. The Advanced Concept Team and designers from several business units of Zodiac Aerospace have worked with London-based creative agency New Territory to rethink the future of the cabin. The Lifestyle cabin concept illustrates possible aircraft interior design for 10 years’ time, and aims to provoke conversation around the future of the aerospace industry. The concept, privately unveiled at the Aircraft Interiors Expo and Paris Air Show is visualized through a 20th scale aircraft 3D model. The mock up also features the accompanying motion work on six screens around the model mounted on a light box. The screens bring the interior concept to life through rendered images showing fluid natural movements of passengers around the cabin. At Aircraft Interiors Expo 2016, airlines were also able to visit the lifestyle cabin virtually and “walk” into a cabin that could fly in10 years. The design awards received for this project prove that passengers are also looking for something different in cabin architecture and that it will be a great way for the airlines to differentiate. It tells that the passengers are looking for a more authentic and tailored travelling experience as well as a more digital experience. Zodiac Inflight Innovations Wows At AIX! Let’s look at all three in a little more detail. The data sheets from the Zodiac Inflight Innovations folks state: “Now airlines can choose from multiple features and capabilities to keep their passengers entertained and engaged during flight. Our product line provides our customers with a modular concept that can be tailored to each airlines needs, making it “very easy” for them to pick and choose which features are most important to them and their passengers.” The 3 product lines can be used on aircraft singularly or in a “mix & match” approach. This makes the IFEC solution flexible and allows for a solution on an airline with one-hour flights to differ from an International flight that could include all three. RAVE CENTRIC is the headliner that provides inseat/overhead entertainment screens all connected via Ethernet throughout the cabin. This includes crew panel screens, which are interchangeable with the passenger screens of the same size. The entertainment content can be updated daily via an SD Card or USB drive by the crew while the built-in cell modem handles airline operational data offloads from the IFE system. Theatrical content loads are delivered to each seat via their content loader (System Control Unit) and can take place on the ground and even in the background during flight. Both Airbus and Boeing aircraft are flying with RAVE CENTRIC and airlines like the simple addition of one LRU in each seat for both installation ease and testing and replacement ease. Reliability is enhanced in the stand-alone in-seat units by the use of solid state memory and this is one of the reasons over 100 planes now are flying with this system and is a past Crystal Cabin Award winner. And yes, RAVE is now line fit offerable as well. Two things stood out in the seatback system for us: USB charging available in each of the seatback displays and the INCREDIBLE quality of the screen displays. The in-seat HD displays, available in 17”, 15”, 12” and 9”, all have SD memory cards. Larry Girard told IFExpess, “We built in new intuitive screen controls that are more “swipe driven” and with our slide-up panel, pull down menus, and slide button controls, we mimic mainstream devices, which is one of our goals.” Aside from the new intuitive touch screen interface there’s a wireless option that we will talk about later. Supports all aircraft standard interfaces for PSS, PA, VA, Connecting Gate, etc. Let’s now move on to RAVE WIRELESS, available today. An airline that features short / medium haul operations or has customers who demand personal device entertainment will find RAVE WIRELESS a solution looking for users. This would be a good place to mention that this RAVE solution has a bit of development history combined in its background, as TriaGnoSys brought a lot of connectivity history to the party when Zodiac Aerospace purchased the company in September 2013. From an operational point of view, no app is required so users don’t have to download any application before the flight – Wi-Fi is streamed via an open network. This can also be pass-code protected for a pay per access or pay per view option. As a browser based connectivity device, the system allows any PED with Safari, Chrome, Opera, Firefox, (and so on) to be up and running with one URL entry. 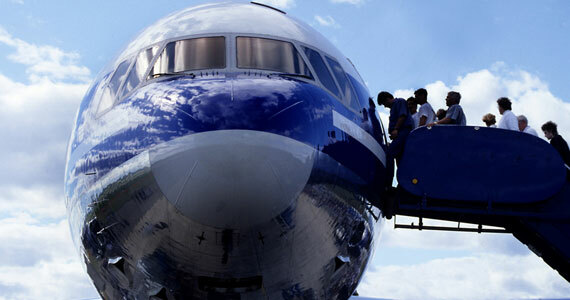 We asked about equipment requirements for a 200-passenger plane and 3 WAPS will fill the bill. The system shuts down automatically when wheels touch the ground. We understand that RAVE WIRELESS has a couple customers already and a fleet of aircraft goes into service this month. 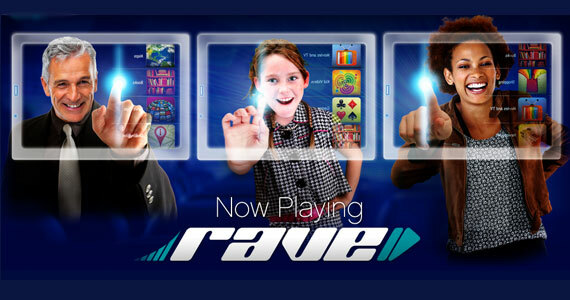 RAVE CENTRIC and RAVE WIRELESS can also work together to enable passengers to use dual screens. Most obviously, they can have both a film showing on one screen and the Internet – social media, for example – running on the other. But what Zodiac Inflight Innovations has done in addition is to incorporate pairing, so both screens work together. That means passengers can swipe content from one screen to the other, and back again. It is just like having two linked screens on your desk. This solution pretty much fits the bill for any airline in the world wishing IFE and/or connectivity and the Zodiac Inflight Innovations RAVE family boasts enough aircraft installations to call them one of the IFE contenders in the race to fill space with IFEC! 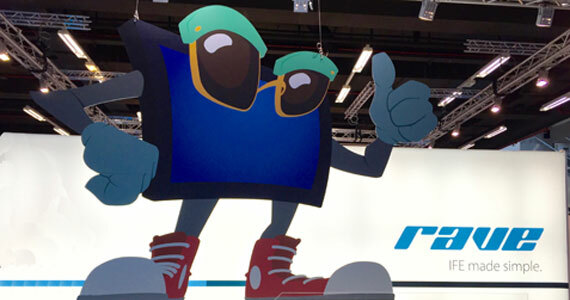 After APEX closed, IFExpress received a very good, and very short video about Panasonic show products that neatly explained their booth-featured product lines. There was an optional questionnaire at the end, however, we wanted to point out that the video itself presented a very concise summary of their show products and we now wonder if IFE companies with large, multiprogram displays should put out a booth summary before the show to help show-goers focus on their own personal preferences, given limited show viewing time… not too early though for competitive reasons, say a day or two before? We wanted to tell our readers a bit about the ongoing aircraft interior developments at BAE Systems, a potential cabin powerhouse. The company brought some significant new products, some new and some next generation of the existing ones. We note the new Attendant Control Panel which is the cabin lighting controller (among other cabin control features) for B737NG aircraft with those wonderful collared LED lights (crew interface) which is just being introduced. The existing ACP is some 5 years old so watch for more on this new product as things develop from BAE. We want also to note their in-development in-seat power solution. Interestingly, the company has been working in-seat power from a different angle and we thought you might want a bit more information about it, so we talked with chief cabin honcho, Jared Schoemaker, Director of Cabin Systems (See Images LINK and note the 3D models of cabin hardware) and he told IFExpress, “The IntelliCabin power system is different because it does not perform power conversion at the seat. Existing systems convert 115VAC 400Hz power to 115VAC 60Hz at each seat group (3-4 seats). IntelliCabin converts the power on a larger scale, and 115VAC 60Hz is distributed to many seats. Additionally, the smart outlet is able to sense how much power is being drawn by each outlet, and can be commanded on/off. This allows us to “right size” the power conversion to the need, and manage the power distribution across the entire aircraft. The result is a lower cost system with less impact (weight, size) to the seat.” We note that the system is not available today and if you want to stay tuned to developments, contact Shelby Cohen, Communications Manager. Flight Display Systems will introduce this year’s new product launches at NBAA and we thought our readers might find this note we just got in somewhat interesting. “Be among the first to hear about our focus on aircraft cabin Wi-Fi technology. We will debut the next generation JetJukebox, which streams movies, music, and other content to handheld devices, with no internet connection required. Other products in our wireless suite include a Cabin Wi-Fi Router, a Dual USB Charger, and a 10X PED Synchronizer/Charger. Additionally, one final reveal involves streaming radio!” You might want to go to NBAA, it is in Las Vegas, Oct. 22 – 24 this month! 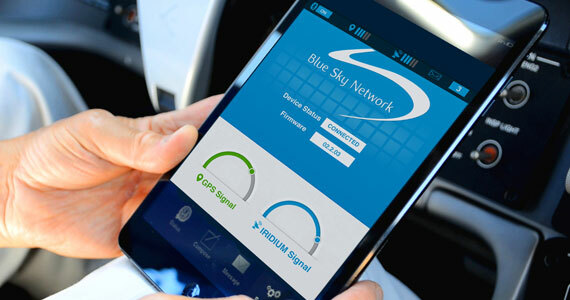 “Have you thought about Bluetooth in the Cockpit for EFB’s?” This was another note we received from Matt Cadwell, Business Development Manager at Blue Sky Networks. It went on, “Blue Sky Network recently announced a brand new iPad app that harnesses satellite networks for advanced 2-way messaging and forms (HawkEye Link, Press Release). That note also caught our attention so we asked him if his HawkEye Link App had any application to passengers in commercial cabins and he told IFExpress, “To answer your question in more detail,” he said, “the system allows for one connection via Bluetooth at a time, so it is definitely possible that PAX could use it, but that means the crew can’t. We do have customers interested in deploying it to small charter operations, where it is reserved for PAX. The messaging system is built 100% on email, so the aircraft has its own email address (usually [tailnumber]@new.skyrouter.com) and they can email any other email address. Approved email addresses can email the aircraft directly (Approved list configurable by the client).” So there you have it – Iridium may be possible in the cabin! With all the talk lately of E.Coli, bacillus, staphylococcus, and salmonella tainted water, Zodiac has developed a clever UV water purification device that cleans potable cabin water via a small (LED-based, we think) UV source that delivers 12 GPM of the pure stuff. 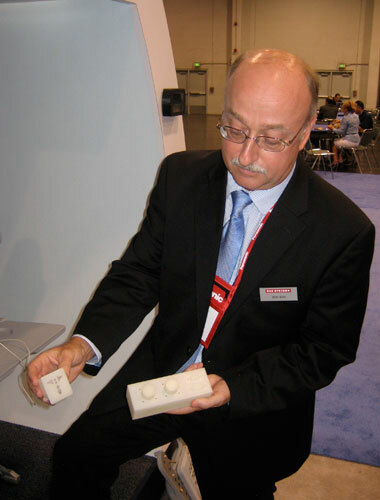 The 100 watt device fits in the plumbing line and is about the size of a loaf of bread – first one we have seen and you can find out more by contacting Dale Lauderback at Zodiac in CA. IFExpress had a chance to communicate with BOSE rep Hratch Astarjian last week and found out his new title is Manager, Global Aviation Sales and Service (Which includes their airline business, their pilot communication headset business and our military aviation business). 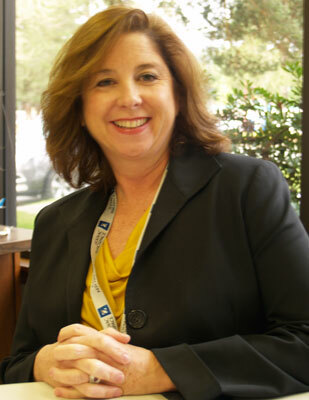 He told IFExpress, “Things are going well, but I am incredibly busy… which is why Danielle Glassman is working on the airline business.” Now you know. Late Breaking News – The last time we talked to the Baltra team at Sky Definition they told us to watch out for a surprise… here it is: Sky Definition will debut it’s 50″ Ultra HD display at this year’s NBAA. The monitor is designed for use in BizJets and on Commercial aircraft and features 4K Ultra Video Playback, Built-in Media Server, Media Share Capability and it will Stream Real-Time Content. By the way, our IFEC BUZZ included a comment from a well known IFE expert and we thought the context was also of importance… It is a reference to people who are expert in, or very familiar with, one specialty (i.e., structures, stress analysis, electrical systems). Their only solution to any given problem is what they know. Hmmm? The Boeing 787 program is facing some interesting times. Here are three relevant links. All this technical talk can be a bit over the top, so our simpler definition goes like this: If you can imagine a LED device as a two bonded, doped, dissimilar materials that give off photons of light when a voltage is applied and a current flows across their junction. 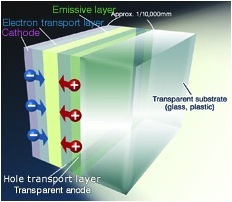 The OLED works in a similar diode-like way, but when the photons are given off at the junction, they are radiated through a couple of layers of organic materials… the layer(s) luminesce and light is emitted. The layers being organic in nature, facilitate a fabrication that is more like a surface of light rather than a point source of light such as LEDs. 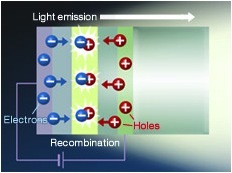 Panels versus point sources – can you see the advantages of this technology? How about lighted ceiling panels, personal colored touch switch controls, and OLED video screens? Not only will there a reduction in needed power for light output (coming soon) but the thin devices (credit card thin) put out less heat. To produce multiple colors, various organic layers are added with smart switches in the devices to turn them on and off, thus they become video display capable and aircraft will start seeing their application in IFE systems soon. Weight, color and quality are the plus signs; price will no doubt be the negative factor. OLED Displays deliver better ‘black’ colors, images have vivid color and are sharper… not to mention, the on-off characteristics are faster – great for motion video; however, they will just cost more. Furthermore, all this lighting technology is not lost on the commercial airline R&D folks. Universal Display has been awarded a $225,000 Small Business Innovation Research (SBIR) Phase I program from the U.S. Department of Energy (DOE). 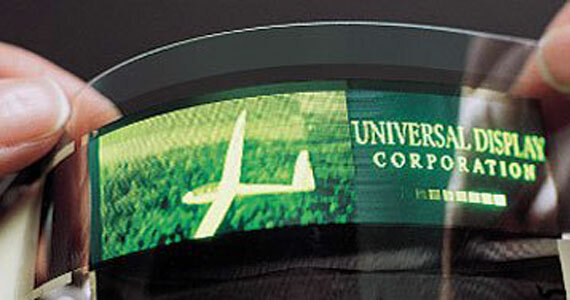 Under the program, titled “Novel Energy-Saving Phosphorescent OLED Lighting Products,” Universal Display will partner with and subcontract IDD Aerospace/Zodiac Lighting Solutions to evaluate and demonstrate the potential for energy- efficient and cost-effective white OLED lighting panels for aircraft interiors. 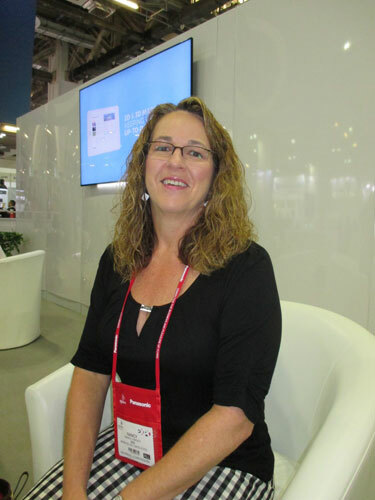 IFExpress talked to IDD about their development shelf lighting project and Beth de Young, General Manager at IDD Aerospace/Zodiac Lighting Solutions noted: “Through our partnership with Universal Display, we aim to contribute to a disruptive shift in the adoption of OLED lighting by providing a compelling early entry product. 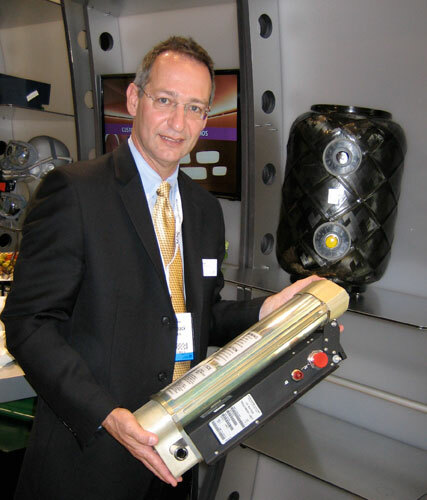 The data generated by developing this shelf utility light may be applied to larger-scale OLED lighting aircraft projects, including cabin applications for interior furniture, galley, interior structure enhancements, as well as other potential adoptions in cabin accent, task, ceiling and sidewall lighting, and sign backlighting.” Our readers should stay tuned to OLED breakthroughs for aircraft usage… LED’s and OLED’s are the stuff of future passenger cabin experience. We should note that Phosphorescent Organic Light Emitting Diodes (PHOLED’s) are another source of potential lighting for future aircraft cabin lighting applications and by their nature can act as sheets of light in applications requiring flat, thin, lighted surfaces. As on might guess, the phosphorescence is a result of similar electrical phenomena and use organic materials that “glow”. Because of their high efficiency, we expect to see them in applications such as personal lighting first and later (as prices drop and manufacturing capability increase) as broader sources of white and colored lighting. There is a bright future for this technology and this is exactly why IFExpress is staying tuned. In case you slept thru the holidays you might be the last one in IFE to hear about the news: Zodiac has issued a letter of intent (LOI) to purchase seat-centric IFE system manufacturer, IMS. The deal should conclude by year-end, and from what we hear, Joe Renton is thrilled about the company and the agreement (Note: No purchase price was announced). The large French aerospace conglomerate has had a busy year and a financially rewarding one to boot. They recently purchased Heath Tecna and Contour (seating), and IFE is even more clearly in their sight as they have already put a system forward with Sicma, a previous acquisition. We understand that IMS will stay in Brea, California and present-day thinking is to keep the 250-person company intact. Further, we believe that the leadership team will remain unchanged. No doubt, naming and branding will come to the table as soon as the deal is done. We should also note that all IMS products and services (including the Northwest service operations) are included in the deal. IFExpress understands that the sales and marketing organizations will be the first to increase headcount (wink-wink, nudge-nudge). In these kinds of deals, a careful look is usually taken at the two products currently in production (RAVE & SiT) to determine a way forward and, as one insider told IFExpress, product manufacturing locations will be based upon what makes the most sense. We like the potential of a closer proximity and business relationship to Airbus too as the possibility of line-fit operations might be in the offing, not to mention early retrofit requirement knowledge. While the IMS company spokesman was hesitant to provide much in the way of market detail, we see great value for existing and new customers based on the successful Zodiac history of acquisition and their strong balance sheet. This fiscal year, Zodiac increased sales revenue by almost 26% (Tot: 3.4 B Euros) while current operating income was also up 26.4%. If you think that growth might be an anomaly, Zodiac has had 9 straight quarters of double-digit growth! Can your IFE company say the same? It looks to us like Zodiac is majoring in single-aisle retrofit capability and may see a spurt coming in that business market. With airline employees spread thin, a package retrofit turnaround deal could be a winner for the airlines, especially with increased passenger traffic returning to the travel market. In case you got wind of a good size Lumexis headcount reduction… forget it! We called CEO Doug Cline and he vigorously rejected the rumor. “In fact, if anything, we have more going on today with new content services, Wi-Fi sales and marketing, new hardware installations, and ramped-up marketing efforts around the globe. Of course,” he noted, “with our founding strategy of outsourcing most engineering and manufacturing, it may look like reductions to some in the industry as we realign to current needs. But we have continuously maintained and grown our core of talented management since opening our doors.” Doug also told us to tell our readers that there may be a few announcements soon that will nail the door shut on these rumors. Nuff Sed!